“Deeming resolution” is a term that refers to legislation deemed to serve as an annual budget resolution for purposes of establishing enforceable budget levels for a budget cycle. A deeming resolution is used when the House and Senate are late in reaching final agreement on a budget resolution or fail to reach agreement altogether. The Congressional Budget Act of 1974 requires the annual adoption of a budget resolution establishing aggregate levels of revenues, spending, the debt limit, and the surplus or deficit, as well as allocations of spending. 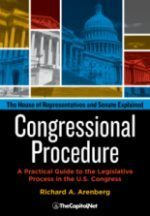 Enforcement of the budget resolution relies primarily upon points of order and reconciliation procedures. With regard to the enforcement of budget aggregates and committee spending allocations, the major points of order are found in Sections 311 and 302 of the act, respectively. The term “deeming resolution” is not officially defined, nor is there any specific statute or rule authorizing such legislation. 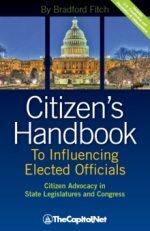 Instead, the use of a deeming resolution simply represents the House and Senate employing regular legislative procedures to deal with the issue on an ad hoc basis. The form and content of a deeming resolution is not prescribed, so it may be shaped to meet the particular needs at hand. Also see Federal Debt; Ch. 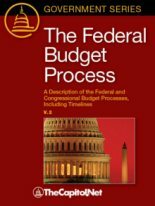 7 Legislating in Congress: Federal Budget Process, in Congressional Deskbook.